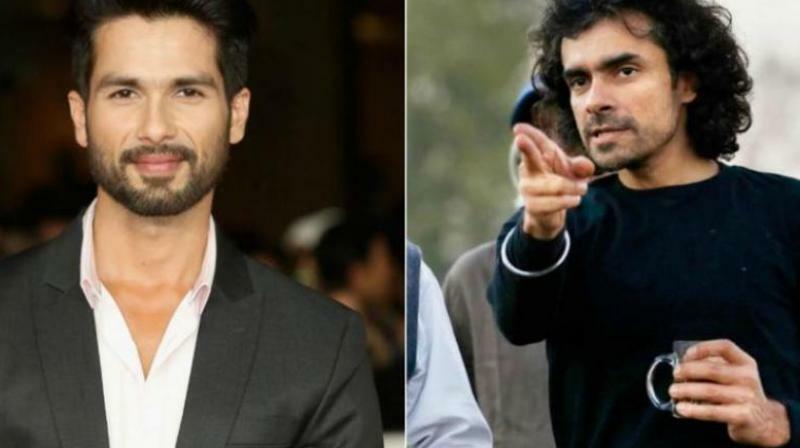 Shahid Kapoor sent fans in a frenzy when he had said he would be teaming up with Imtiaz Ali after 'Jab We Met'. Imtiaz had said that the sequel’s work is in progress, but nothing concrete can be said at the moment. In December last year, Shahid had expressed excitement about his team up with his 'Jab We Met' director for a new film with an "interesting" subject. The actor had said he would start shooting for the same after wrapping up his upcoming release 'Batti Gul Meter Chalu'. Soon after there were reports that the project was shelved and Shahid later told reporters that the film is "not happening this year" and they might "probably work on something else." When asked about reports regarding the film with Shahid, Imtiaz said, "There will be more news like this because the fact is, I keep meeting actors and there is always going to be some speculation..."
"I never announced a film. I never said I am making a film. I never said I am working with Shahid Kapoor. So now when people ask me that the film is not happening, I reply, 'Which film?' I never said it. Jisne bola usko bolo (Talk to the person who spoke about it). There's no truth to it," the director said in a group interview. Imtiaz last directed Shah Rukh Khan starrer 'Jab Harry Met Sejal' and the filmmaker says he has currently written four stories and has developed two screenplays. "I have turned producer so I have to keep some material ready... The only asset that you have in this work is script. So once these four scripts are ready, depending up on the availability of the suitable actors, I will start working," the director signed off.